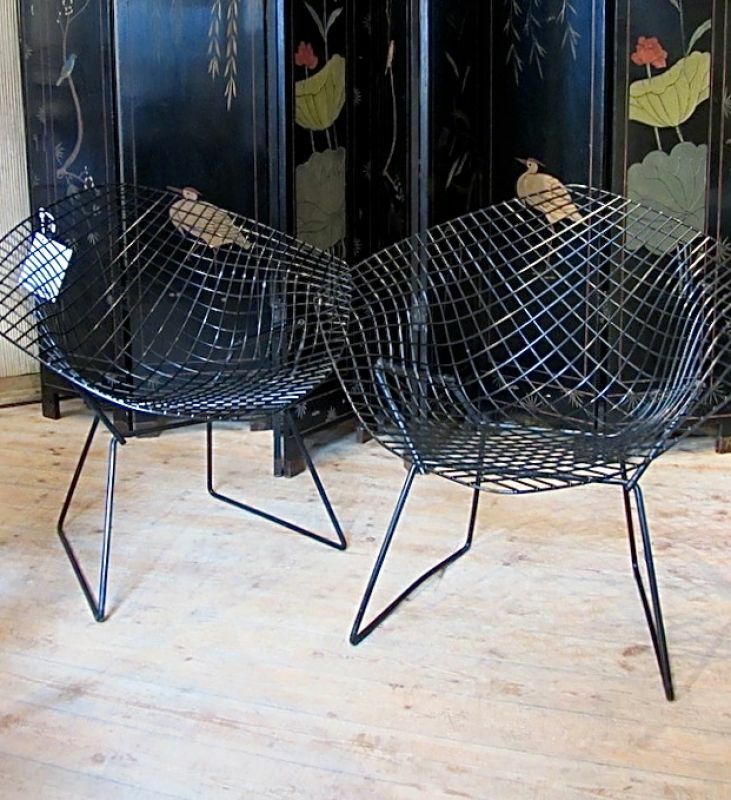 This is a pair of iconic chairs by the furniture designer - Harry Bertoia. There are three pairs available in total. 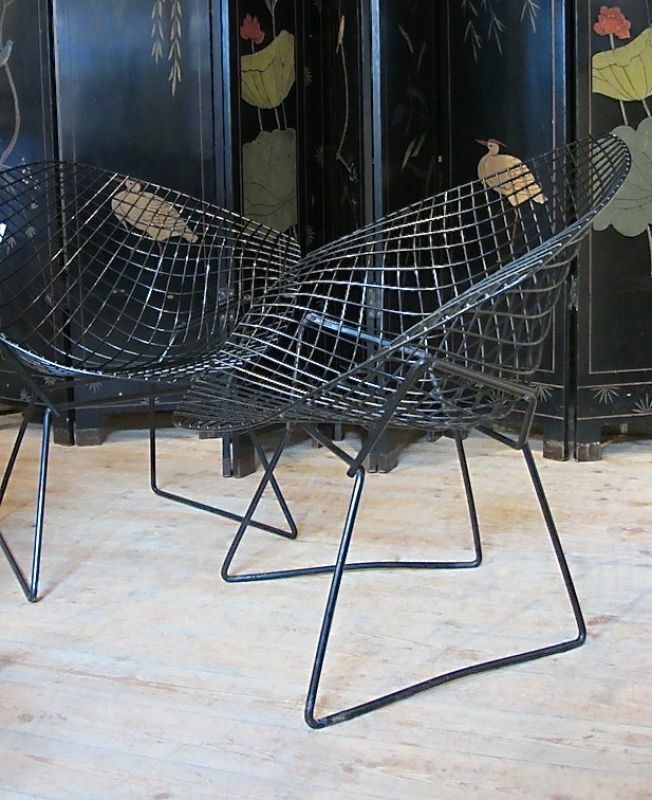 They are known as the diamond chairs and were designed in 1952. These were bought in the early 70s. There are vinyl seat pads available, but they are worn and cracked. Leather seat pads are available in different colours from Knoll International - the original maker. I think they look as good without the pads and are just as comfortable. This pair of chairs can be seen at the Decorative Collective shop in Petworth. 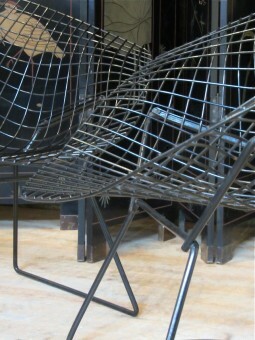 The others are in my shop in Ashburton in Devon. 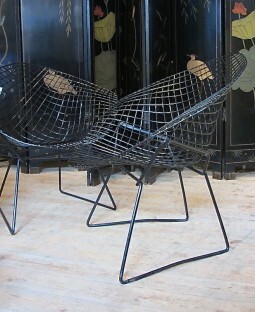 The measurements are 84 cm wide, 72 cm deep and 76 cm high.